Harrison Jacobs/Business InsiderMykonos, Greece, is a completely different place with money. More than any place I’ve visited in recent memory, the island feels like two completely different places depending on how much you are willing to spend. That perception was driven home by the differences between my stay at a $US130/night guesthouse and a $US1,000/night room at one of the island’s ritziest resorts. Perhaps more than any place I’ve visited in recent memory, Mykonos, an island in Greece notorious as a vacation hotspot for the rich and famous, feels like two completely different places depending on how much you are willing to spend on your vacation. 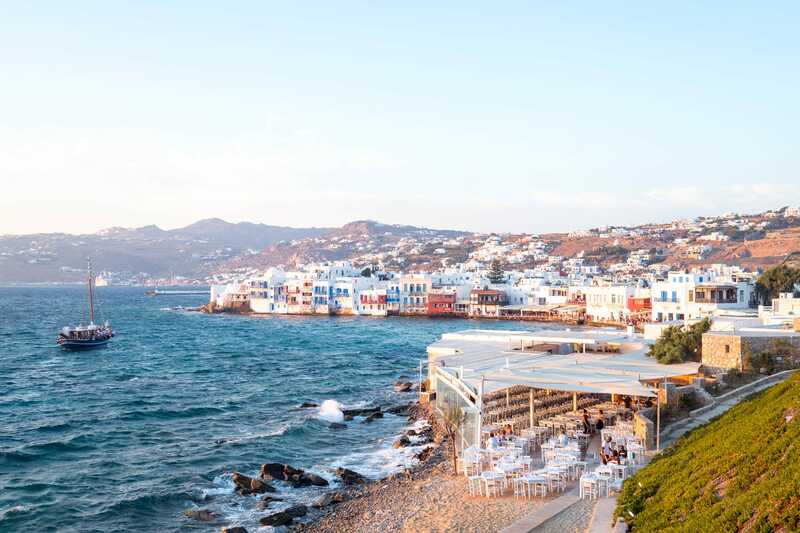 For those travelling on a budget, Mykonos can feel like a beautiful but prohibitively expensive place, with little bang for your buck. 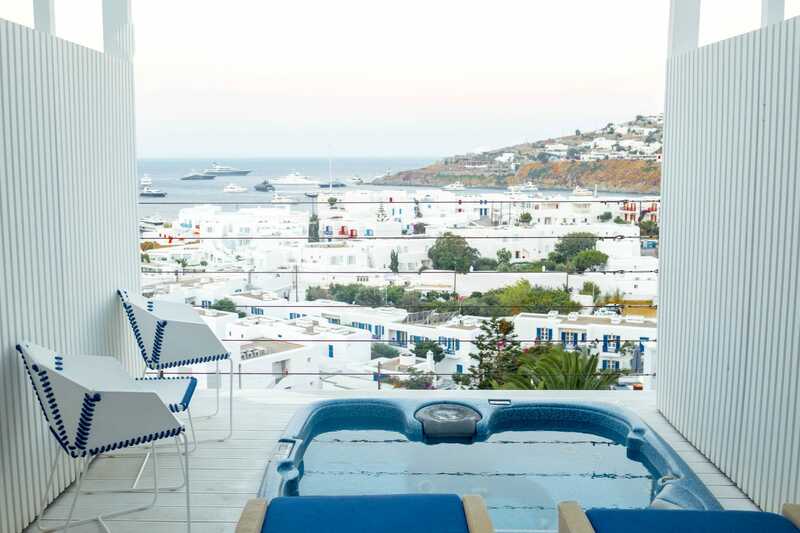 If you have the money to travel in luxury, Mykonos will fulfil every fantasy you’ve ever had of Greece. On a recent trip to Mykonos, I decided to travel a day on each end of the travel budget. My first night, I booked the cheapest (livable) place I could find. In July – peak season for the island – that was a difficult endeavour. I ended up booking a night at Marinas Studios, a guesthouse in Ornos Bay. The only thing cheaper that was available was a camping hostel with reviews that complained of bed bugs. The room at Marinas Studios was fine, if spartan, with three twin beds, a small kitchen, and a shower where you had to hold the shower-head, and a bar of soap. The sheets and blanket were thin and scratchy, like something you might find at a hostel. There were no communal facilities and no breakfast was included. Harrison Jacobs/Business InsiderMy room at Marinas Studios. 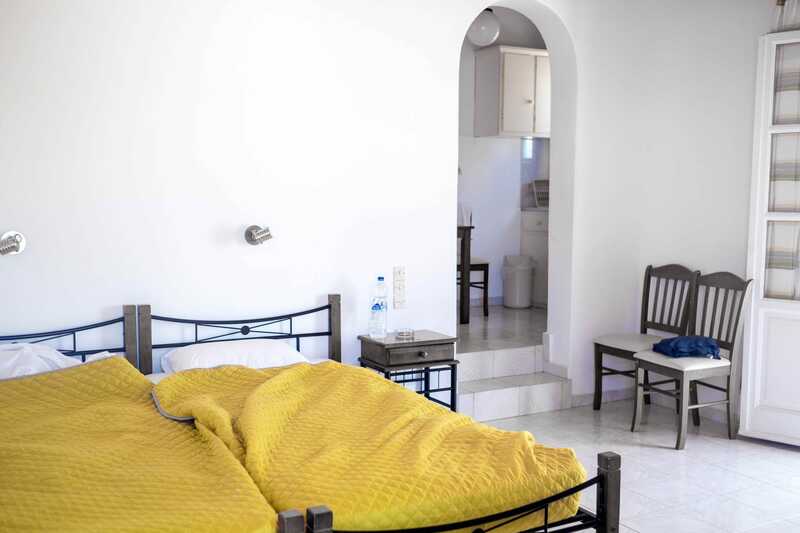 The guesthouse was well-located, however – a short walk from a number of restaurants in Ornos, as well as a couple beaches. The following night, I booked a room at one of the oldest and most luxurious hotels resorts on the island: the Myconian Ambassador Relais & Chateau. The True Blue double room typically goes for close to $US1,000/night in peak season. When I told my taxi driver that I was going from the Marinas Studios to the Myconian Ambassador, he started laughing. In contrast to the barebones room at Marinas, the room at the Myconian Ambassador was a palace. It included a king bed, a stereo system, a rain shower, and a balcony that looked out to the sea with sunbeds and a hot tub. The bathroom included amenities from Molton Brown and Kores – both high-end personal care brands. The Myconian Ambassador had a spa, a pool deck with restaurant and bar service, attendants who came by with complimentary smoothies and personal care products, an elaborate breakfast buffet, and a high-end restaurant. But the vast difference between the two experience truly hit me when I saw the sunrise from the balcony of my room at the Myconian Ambassador. Harrison Jacobs/Business InsiderThe balcony of my room at the Myconian Ambassador. See the difference? Mykonos feels like an entirely different place when you have money.